Half of the playoff contenders in D2 Football’s Super Region Two are HBCUs. How many will get in? The day that fans of Division II football have been waiting for since the beginning of the season is now here. D2 Football’s initial regional rankings were released on Monday and HBCUs, particularly those in the CIAA, are well represented. 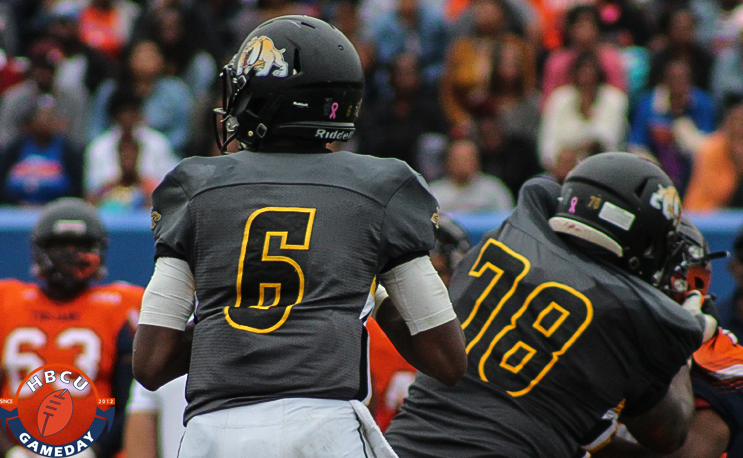 Half of Super Region Two’s ten spots belong to HBCUs. If the D2 playoffs were to start today, the CIAA’s Virginia State (7-0), and Bowie State (7-1) would both be in as they come in ranked third and fourth, respectively. These rankings come just a week after VSU defeated BSU 47-35 in Petersburg to take command of the CIAA North. Fellow CIAA North member Virginia Union is 10th in the rankings after falling 40-22 to BSU on Saturday. The SIAC has two teams in the rankings, with Albany State coming in at no. 8 and SIAC West member Miles coming in at no. 9. As explained in our podcast discussion with D2Football.com’s Kris Ferguson last week, the regional ranking are the most important thing in D2 football, as the top seven in each region advance to the playoffs. You can hear more here. After years of being in different regions, both the predominately HBCU football conferences are now in the same region, which could make the playoffs really interesting. Both VSU and Bowie State are nationally ranked, but only one can play in the CIAA Championship Game while the other will have to hope to get in based on the merits of its regular season. The SIAC will likely have to hope for earned access to the playoffs or miss them altogether. The SIAC does not deserve to get a team in the playoffs this year. I really hope the CIAA gets two teams in the playoffs and that Bowie or Virginia State do not get upset in the CIAA Championship game. Your statement of the SIAC especially Tuskegee is unwarranted, don’t count out Tuskegee!